Last weekend had brunch today at Cafe Chloe. I decided to get out of my neighborhood and headed downtown. Maybe not the best idea as there was a baseball game, but I got lucky with parking. I was heading there myself but happened to bump into good friends on my way and they joined me for a lovely afternoon. This charming Parisian inspired café located is downtown San Diego. I love the atmosphere, the food, and le café. It’s a great place to dine alone, on a date, or with friends. 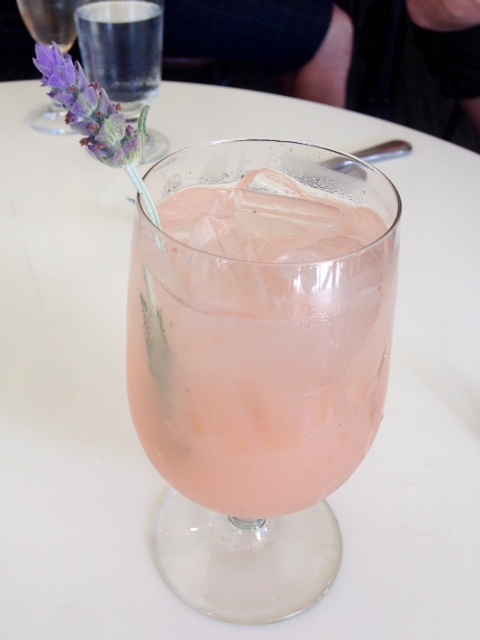 I often crave this delicious lavender lemonade. 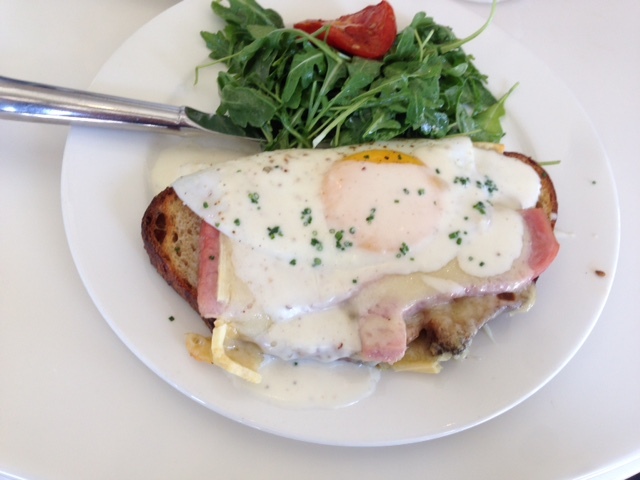 I chose the croquet madame for my meal, ham and gruyere cheese on top of sliced bread with a sunny side eggs on top with delicious sauce. Click on the link Café Chloe for the website.